Virus monsters. Rogue Artificial Intelligence. 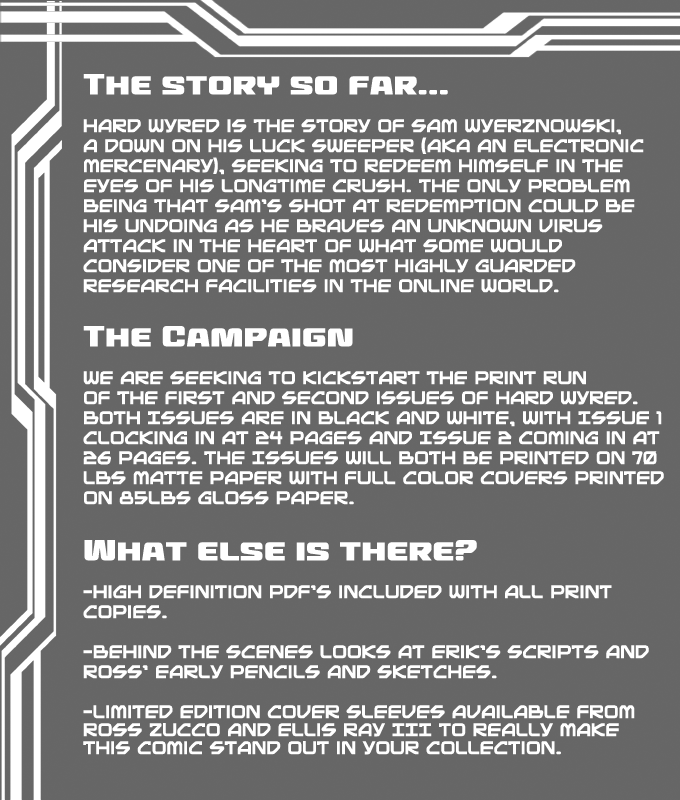 Welcome to Issues #1 and #2 of Hard Wyred’s cyber-punk adventure. CA$1 gets you a digital version of #1 – higher tiers also have digital rewards! Two mismatched detectives hunt a prophecy obsessed serial killer through a post-apocalyptic seaside town. These are the questions facing two mismatched detectives hunting a prophecy obsessed serial killer through a post-apocalyptic seaside town.